After Bernie Sanders won caucuses in Alaska and Washington early on March 26, national news outlets fell silent on the results of the Hawaii caucus until 4 a.m. EST. Meanwhile, Alec Salisbury, a 20-year-old student from Ithaca College and Sanders supporter, used a Google spreadsheet to compile data from social media in his college dorm room to correctly predict the results, six hours before national media. “Gathering the results wasn’t too difficult,” he said. He and his cohorts scrolled through tweets with caucus-related hashtags. If he saw a number, he looked for other sources reporting the same results, reported USA Today. At 9:45 p.m. EST, Salisbury tweeted the compiled unofficial data in a Google document showing Sanders leading at 69.7 percent and Clinton at 30.3 percent. That document became the primary source for results and was extremely close to the official results as posted by the Associated Press: 70.6 percent for Sanders to Clinton’s 29.3 percent. “I was ecstatic to see how incredibly close our projections came to the official results,” said Salisbury. The delays were the result of two reasons. Firstly, the Democratic Party decided not to release any partial results before all the votes were tallied. And secondly, the turnout was overwhelming, with 33,716 votes cast—rivaling but not surpassing the 2008 caucus, which drew over 37,000 votes and gave Barack Obama an easy win. 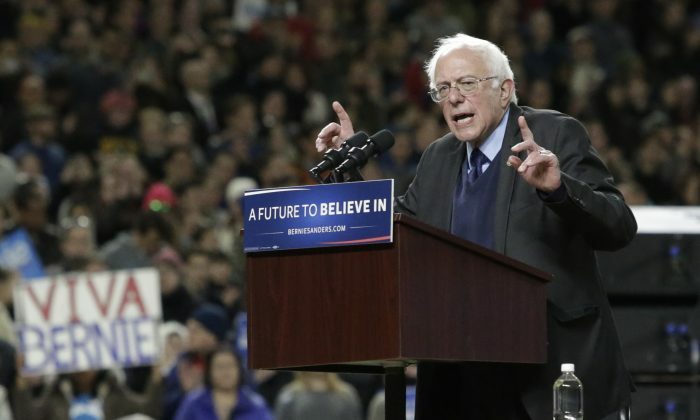 Hawaii completed a good night for Sanders, winning all three weekend caucuses. The next two states, Wisconsin and Wyoming, should favor his campaign, but the big challenge is on April 19 when they face off in Clinton’s home turf, New York.